Melanie Klein, (March 30, 1882 –September 22, 1960), was an Austrian psychotherapist, and an early pioneer in the use of psychoanalysis with children. She began her work based on Sigmund Freud's psychoanalytic theory, although she de-emphasized the importance of sexual desire. She separated from Freud and when his daughter, Anna Freud, developed a different approach to child psychoanalysis, Klein began her own opposing school of analysis. The continued conflict between Klein and Anna Freud and their respective followers reduced the impact of her work. Nevertheless, Klein's development of play therapy for children, and her work on the importance of parent-child relationships in psychological development have been influential in the field of child development and psychopathology. 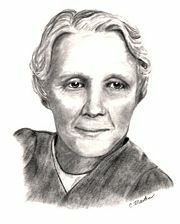 Although her focus on the problems caused by lack of sufficient nurturing, and her belief that even young children are strongly influenced by the "death instinct," led her to develop useful tools for treating seriously troubled children, her theory does not provide a complete, or hopeful, view of normal human psychological development. Melanie Klein (née Reisez) was born in Vienna, in 1882. Her father, Dr. Moriz Reisez, was a successful physician. He had rebelled against his family’s wishes to become a rabbi, and instead attended medical school and opened a private practice. At the age of 40 he married Libusa Deutsch, who bore him four children, Melanie being the youngest. Melanie had a happy childhood, filled with the discovery of both knowledge and art. Despite being Jewish, religion played little role in her life. She always labeled herself as an atheist. However, she never forgot her roots, and in her work frequently noted that parents should teach their religious beliefs to their children. She had a very close relationship with her siblings, especially Emmanuel and Sidonie. Emmanuel was Melanie's older brother, who tutored her in Greek and Latin and who introduced her to the intellectual circles of Vienna. Her sister Sidonie, on the other hand, taught Melanie reading and writing. Both siblings left their mark on her life, and when they both died prematurely, Melanie became seriously depressed, something that remained a characteristic of her personality throughout her life. Her father died when she was 18. Melanie remained close to her mother, Libusa, who died in 1914. At age 19, Melanie became engaged to her brother's friend, Arthur Klein, and at age 21 she married him. He was an engineer, and his job required him to travel a lot. During this time she bore him two children, Melitta in 1904, and Hans in 1907. Melanie followed her husband wherever he went, but as a result could never complete an academic degree, although she had aspirations to go to medical school. Instead, she studied languages and read books. Later in her career, Klein regretted not being able to complete a degree, as she was often not respected in academic circles due to her lack of credentials. The Kleins moved to Budapest in 1910, where she encountered the work of Sigmund Freud for the first time. From that year on, she dedicated herself to studying and practicing psychoanalysis. In 1914, she gave birth to her third child, and she became especially interested in studying children. Klein met Freud in person in 1917, and wrote her first paper entitled "The Development of a Child," in 1919. That same year she became a member of the Budapest Psychoanalytic Society. After her husband's job took him to Sweden, Melanie moved with her three children to Slovakia, and decided to file for divorce. The divorce was finalized in 1922. In 1921, Klein met Karl Abraham, who inspired her to continue to work with children. She moved to Berlin, Germany, where she opened a psychoanalytic practice for both children and adults. She especially focused on emotionally disturbed children, and continued with this practice until 1926. However, as psychoanalysis became more popular in Germany, different psychoanalysts developed and used different techniques. When Anna Freud started her own work with children, it became obvious that Klein’s approach differed from hers, and Klein was slowly pushed out of Berlin’s academic circle. Thus, in 1927, together with her children, Klein moved to England. She gave series of lectures in London, and was warmly welcomed. She became a member of the British Psychoanalytic Society, and soon opened a private practice. In England she developed her ideas on the death instinct and Oedipus complex. She remained in England until her death in 1960. Klein's theoretical work gradually centered on a highly speculative hypothesis proposed by Sigmund Freud, namely that life is an anomaly—that it is drawn toward an inorganic state, and therefore, in an unspecified sense, contains an instinct to die. In psychological terms, Eros, the sustaining and uniting principle of life, also referred to as libido, is postulated to have a counterpart, Thanatos, or the "death instinct," which seeks to terminate and disintegrate life. Based on her examination of extremely aggressive fantasies of hate, envy, and greed in very young and very ill children, Klein put forth the interpretation that the human psyche constantly oscillates between positions in which Eros or Thanatos is in the fore. The unstable psychological state, corresponding to the disintegrating tendency of Thanatos, she called the "paranoid-schizoid" position. She called the state of the psyche dominated by Eros, the sustaining principle of life, the "depressive" position, since in this state the individual has recognized ambivalent feelings and moderated, or depressed, their intensity. Klein's insistence on regarding fear and aggression as important forces in children's psychological development brought her into conflict with Sigmund Freud, who emphasized sexual forces over all others, and later with his daughter, Anna Freud, who had become a major figure in child psychotherapy. Many controversies arose from this conflict, eventually leading to a split between the Freudian and Kleinian groups of analysts within the British Psychoanalytical Society. The "object relations theory" is the idea, developed by Sigmund Freud, W.R.D. Fairbairn, and Melanie Klein, that the self, exists only in relation to other "objects," which may be external or internal. Internal objects are internalized versions of external objects, primarily formed from early interactions with parents. In other words, a child’s first object of desire is his caregiver, for a child can only satisfy his or her needs through that object. The relationship between a child and a caregiver, and the way a child satisfies his or her needs are eventually internalized into mental representations. According to object relations theory, there are three fundamental mental representations between the self and the other: attachment, frustration, and rejection. These representations are universal emotional states, and are the major building blocks of personality. The central thesis in Melanie Klein's object relations theory was that the objects can be either part-object or whole-object, i.e. a single organ (such as a mother's breast) or a whole person (the mother). Either the mother or just the mother's breast can be the locus of satisfaction for a drive. Depending on the nature of the relationship between child and caregiver, the child can develop various disturbances, such as an excessive preoccupation with certain body parts or preoccupation with parts versus a whole person. According to Klein’s theory, a situation in which a child does not receive sufficient nurturing care increases the likelihood that the child will retreat into a make-believe world filled with imaginary objects, generated in an attempt to satisfy the need for real objects. Melanie Klein first introduced the term "projective identification" in 1946, referring to a psychological process in which a person projects thoughts or beliefs that they have onto a second person. This second person is affected by the projection and begins to behave as though he or she were actually characterized by those projected thoughts or beliefs. It is generally believed that this process happens outside of the conscious awareness of both parties involved. Projective identification is believed to be a primitive psychological process and is understood to be one of the more primitive defense mechanisms. Yet it is also thought to be the basis out of which more mature psychological processes like empathy and intuition are formed. The content of projection is often an intolerable, painful, or dangerous idea or belief about the self, which the person simply cannot tolerate. For example, a traumatized patient might describe a traumatic incident to his or her analyst. Yet in describing this incident, the patient remains emotionally unaffected or even indifferent to their own suffering and perhaps even the suffering of loved ones. When asked, they deny having any feelings about the event whatsoever. Yet, when the analyst hears this story, he or she begins to have very strong feelings, perhaps of sadness or anger, in response. The analyst thus acts out the patient's feelings resulting from the trauma. By acknowledging to the patient that their account of the trauma is evoking these feelings, the analyst helps the patient to recognize painful emotions or thoughts that previously could not be let into awareness. Klein developed a technique of "play therapy" for use with children, building on Sigmund Freud’s method of free association. She believed that, since children cannot express themselves easily through verbal associations, they could do so through play and art. Thus, in their play and drawings, children could project their feelings allowing their unconscious fantasies and hidden emotions to come out. Klein believed that therapists could use play to relieve negative or aggressive feelings in children, and thus treat children suffering from emotional disorders. The interpretation of play therapy was one of the major areas of disagreement between Melanie Klein and Anna Freud. Klein used it to uncover unconscious conflicts underlying children's dysfunctional behavior. By contrast, Anna Freud regarded play therapy as educational for children, helping them to adapt to reality. She did not believe that it revealed any unconscious conflicts. Melanie Klein made significant contributions to the field of psychology. She de-emphasized the importance of biological drives, particularly the sexual drive, and emphasized the importance of interpersonal relationships in the psychoanalytic field. She particularly stressed the importance of the mother-child relationship in child development. Her technique of play therapy, which she developed for use with children, continues to be widely used. Her object relations theory continued to be developed in the 1940s and 1950s by British psychologists, and this British Object Relations School became quite influential. Research in developmental psychology has supported their thesis that the formation of the mental world is enabled by the infant-parent interpersonal interaction. Melanie Klein and Anna Freud, were the first to apply psychoanalytic theories to treat affective disorders in children, although their approaches were radically different. Their differences led to conflicts and division among child psychoanalysts that persisted for decades initially in Europe and spreading to the United States, where Anna Freud's group was initially dominant. Since the 1970s, however, with the development of the interpersonal approach to psychoanalysis and the influence of Ego psychology, Melanie Klein's ideas achieved greater prominence. The Melanie Klein Trust, founded in 1955, continues to promote research and training in Klein's methods. Ogden, Thomas H. (1979), On projective identification. International Journal of Psycho-Analysis, 60: 357-373. This page was last modified on 14 September 2018, at 19:14.